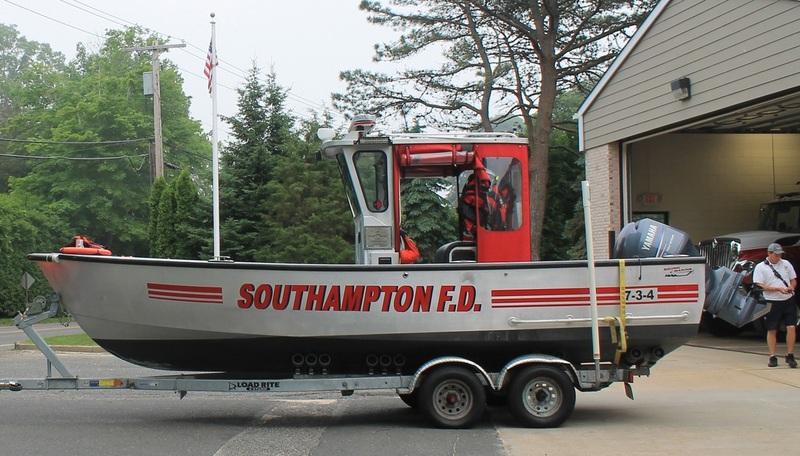 In 1999 the members of the Department began to organize what is now known as the Southampton Fire Department Water Rescue Team. The team is made up of members of all companies. Recently, the squad began intensive training with the United States Coast Guard to better assist with search and rescue operations as well as provide support to various other Coast Guard operations. The boat is kept at our Shinnecock Hills firehouse and is prepared to be launched at a moments notice. The team utilizes a 23 – foot center console boat and a quick deploy 10 – foot inflatable boat. The squad's training also includes ice rescue procedures, equipped with mustang survival suits the members are trained and prepared to enter the icy water to ensure safety of our citizens.